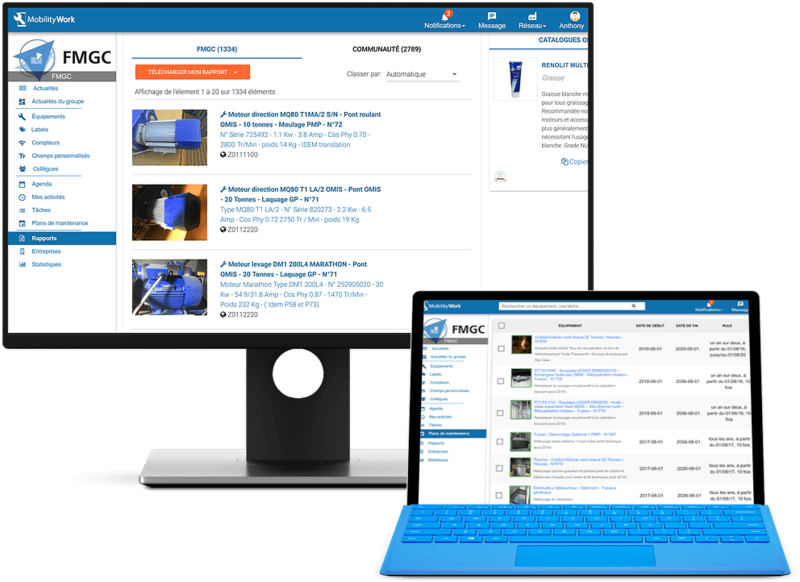 Pareto, MTTR, availability rate, MTBF, criticality matrix... Analyze your maintenance in one click! Manage your maintenance plans as well as your regulatory interventions thanks to the calendar function. Follow the interventions carried out on your equipment and in your buildings and enhance your spare parts' management. Give in details about your operations, integrate the time spent on tasks as well as counter readings and follow up these data's evolution. Integrate pictures, videos, audio and PDF files to your maintenance interventions in order to better illustrate the issue you encountered. Scan the QR code in your mobile CMMS and visualize the list of all interventions carried out on the piece of equipment. Easily send an intervention request to the maintenance manager and follow its progress. 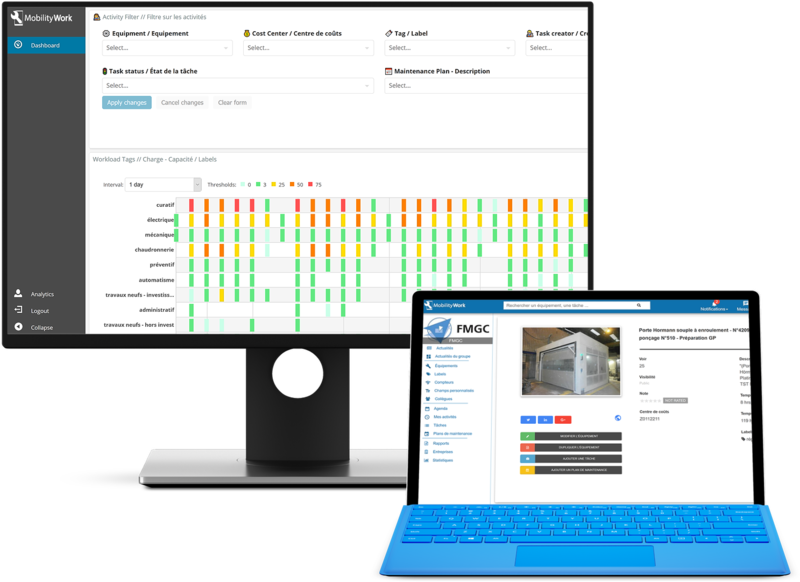 Visualize the ongoing maintenance operations on your production line and remain informed. 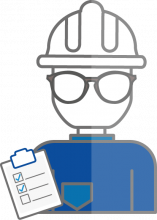 Plan 1st-level maintenance operations thanks to the checklists and keep track of the operators' work. 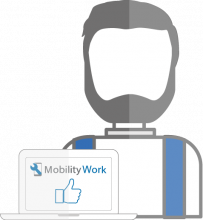 Easily access the intervention requests formulated by your customer from your mobile CMMS Mobility Work. Describe the operations carried out by mentioning the intervention duration or uploading files (pictures for instance). Receive operation reports and rate them according to four different criteria: cost, quality, security and time. Equipment list, spare parts, inverventions history, maintenance plans, checklists... Import all your data for free within a few minutes from your previous CMMS software, your ERP or an Excel file. You have a question or want to plan a free online demo? Use our online customer support anytime to get an answer. With Mobility Work, nothing remains frozen in time. The application is regularly updated for free and according to the users' feedbacks.